Advancing the most advanced computer today. There aren’t very many companies developing quantum computers right now. Sure, a lot of research about quantum computing is being conducted, but the technology is considered by many to be too unstable to produce a working quantum computer. However, D-Wave seems to have it down. 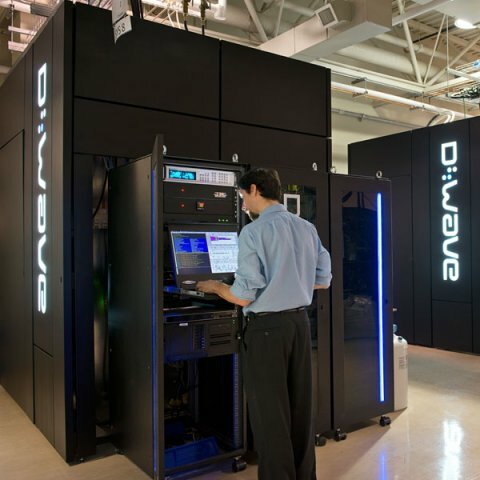 Since producing its first quantum computer in 2011, D-Wave has built a roster of clients that now includes Google, Lockhead Martin, NASA, and the Los Alamos National Library. Now the company is claiming they’ve created a quantum computer that marks a huge step forward from its most current model, which is already considered one of the most advanced in the world. The company promises to release this 2,000-qubit quantum computer by 2017. With double the processing power of its current 1,000-qubit version, D-Wave 2X, the company’s new model will be 500 to 1,000 times faster, according to D-Wave senior vice-president of systems Jeremy Hilton. And there’s more. D-Wave will be able to produce an even more improved version two to three years after that using a new processor design. D-Wave is hard at work to make a universal quantum computer like its competitor IBM. D-Wave’s quantum computers, however, have been criticized by some as not actually doing quantum computing. There are many ways to do quantum computing, though, and D-Wave’s machines use a concept called quantum annealing. Working around the problem of qubits, D-Wave is able to extend for a workable period the entanglement phase by loading qubits in a cooled and heavily pressurized environment, and whatever the method, D-Wave’s computers do work faster than any PC or server out there currently. With D-Wave’s new supercomputers, tasks that require great processing power could be performed. Quantum computing will greatly benefit research in the fields of engineering, software validation, gene processing (once consistent entanglement is achieved), and machine learning. The latter is currently the most promising given the continuous advancement in AI and robotics. Google, for instance, uses their D-Wave quantum computer for machine learning development and other applications. It’s an area that D-Wave itself is exploring by developing models to improve image classification, generation, and analysis. Although the potential of many of these applications has yet to be fully realized, the technology seems to be getting there, qubit by qubit.